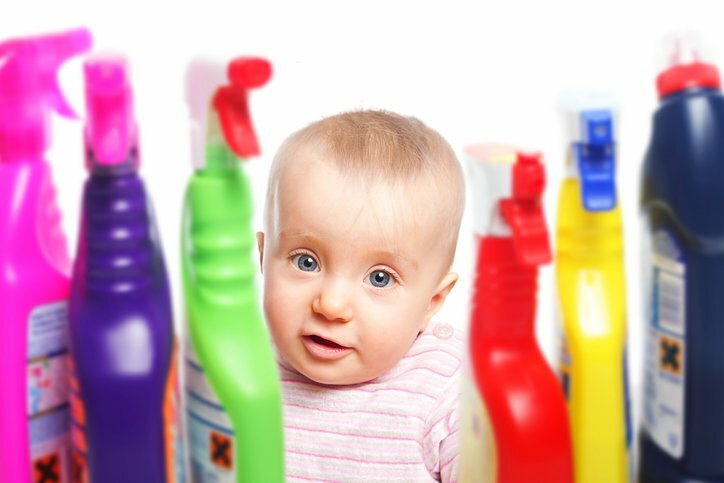 Most of us have a cabinet filled with spray bottles and cleaning detergents, but it wasn’t so long ago that keeping your house clean didn’t involve buying bottles of harsh chemicals. In fact, most of what our grandparents’ generation used to clean with were the same household staples they cooked with. These older methods are simple, and often they save you a lot of money in addition to being a greener way to keep your home clean. 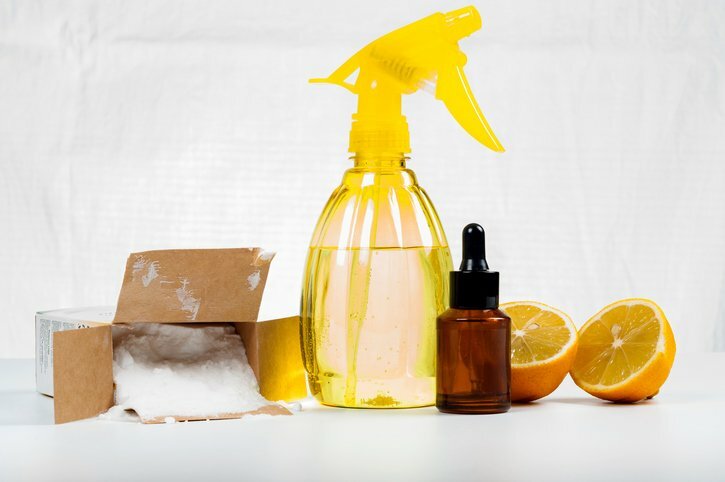 So, if you want to take that first step in downsizing the amount of mass-produced cleansers in your home, consider some of the following hacks. A lot of us keep inexpensive vodka around for medicinal purposes on those hard days, but it has a great use aside from being drunk. Poured into a simple spray bottle, vodka can be spritzed onto areas like a couch, a bed, or a rug, and it will absorb bad smells, and disinfect at the same time. When you’re changing your sheets, or re-arranging the couch cushions, just give them a spritz, and come back in a few minutes when the vodka has evaporated. It will smell fresh and clean, with minimal work on your part. No one likes having flies or midges in the house, but chemical traps can pose a hazard to children and pets. Spraying insecticide can make you sick, and you certainly don’t want that stuff misting up the kitchen. An alternative solution, though, is to get some apple cider vinegar, a glass, and some cling wrap. What you need to do to make your own trap is to pour about a quarter to a half inch of the apple cider vinegar into the glass. Then tightly press some cling wrap over the top. Use a rubber band, or an old hair tie, to make sure it stays tight, and in place. Then puncture the wrap with several, small holes large enough for the insects to get in. What will happen is the insects will crawl in, investigate the apple cider vinegar, and then be unable to get out again. A miniature drowning glass can work miracles, and it contains no poisons that would hurt anyone in the house if they accidentally came in contact with it. These days we may wonder how we managed to live without Febreeze, but getting rid of bad smells is not some miracle that only we in the modern age are privileged to have. There are plenty of perfectly effective methods of cleansing the air that don’t require us spraying mists of moisture around our homes. One of the most common solutions is baking soda. While we know to keep a box in the fridge to keep down on strong smells, they’re also great additions to your closets and kitchens. A single box tucked out of the way can fight bad smells for months. However, if you want something that’s a little more fragrant, a bowl of coffee beans (or even ground coffee) will also do the job. Not only that, but it will add an additional scent, sucking out the bad and replacing it with the good. Is there anything more frustrating than trying to get your sink clean? After finally getting all the dishes out of the way, wiping down the counter tops, and all the other associated chores, you still have to polish down that stainless steel. Rather than reaching for a harsh cleanser, though, try cutting a lemon, and using some salt. It might sound like a magic trick, but it’s pretty simple. Sprinkle some salt (preferably bigger chunks, but table salt will do the job) onto your sink. Cut a lemon in half, and then scrub the surface with the revealed fruit. The citrus juices will eat away at dirt, grime, and refuse, and the salt will grind it down, wiping the surface clean. This same trick can be used on counter tops and glass tables, but avoid putting this mixture on wood, as it can do more harm than good. The microwave might be one of the greatest modern conveniences of all-time, but it is also tough to keep clean. Whether it’s bubbling soup, burbling tea, or that instant ravioli you like to have for lunch sometimes, the inside of your microwave can get pretty dirty pretty quick. Worse, you don’t want to spray it down with harsh cleansers, because then they’ll be left stewing in the heat, potentially getting into your food. What’s the alternative, though? Well, a simple wipe down. What you do is take a microwave-safe bowl, and fill it with half a cup of water. Then you slice a lemon in half and squeeze all the juice you can into the water. Put both halves into the bowl, as well. Microwave the contents on High for three minutes, which should be enough to bring the whole mixture to a boil. Then, once the timer goes off, let it sit for another five minutes or so to be safe to touch. The boil will moisturize the inside of the microwave, and the lemon juice will go to work. Once you remove the bowl, you can simply wipe the interior clean with a hand towel, and it will be good as new.